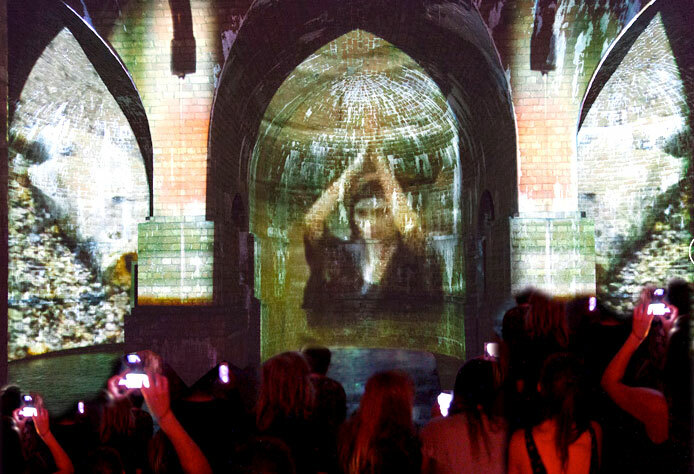 Working in collaboration Dragon Breath Theatre and Papplewick Pumping Station in Nottinghamshire, the project explored how museums can benefit from fully immersive performances. The site-specific work was the stimulus and springboard for interdisciplinary learning about important local and global issues affecting water use. Creative Forum used innovative mapped imagery to enhance the visual and immersive experience. “Weâ€™ve worked with Creative Forum many times over the past 12 years, as both artists and documenters.